Ava Manning has allowed her heart to be broken once. Once is enough. She never intends to let anyone get close enough to hurt her again. She just wants to do her job as a lab technician at Cloneall Drugs, Inc, without any complications in her life. But after Ava saw some research she wasn't supposed to, someone wants her dead. And now she has to deal with the Southern talking, g-dropping, charming LAPD detective Ricky Don McKinzie. Her life is just beginning to get complicated. "This fast-paced novel is a fun read with a delightful blend of romance and mystery. The author is a strong proponent of natural-sized women and understands the struggle that women face in society over body size, so it is no coincidence that this issue is effectively woven into the plot with an admirable deftness. The plot is interesting—a diet drug is being developed by a major pharmaceutical company, and the heroine Ava is a scientist in training, working on the project. She soon realizes that the drug test results are being manipulated, and then the danger starts. Interestingly, the drug test results actually show that obesity had no negative effects on one's health, contrary to what the drug company expected—and wanted. 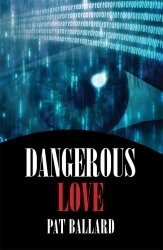 "This is a smartly written romance thriller. The police detective on the scene is a dreamy concoction whom we all would love to have in our lives. He is completely and utterly taken with Ava, who does not quite believe it. 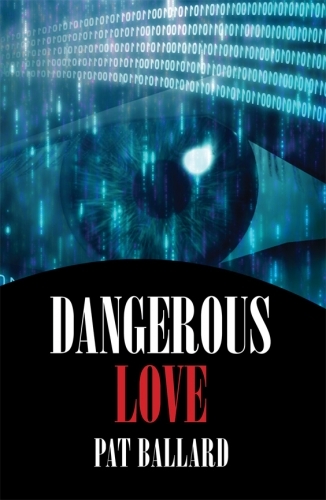 Well-written characters, conflicts and danger, along with a sweetly hot attraction between the couple, make this a compelling read. I found the dialogue particularly well written. All in all, this is a solid winner in genre literature." The Queen of Rubenesque Romances shares the steps she created―and took―to heal the damage of years of dieting. Original trade paperback. Free PDF ebook featuring Pat Ballard's 10 Steps to Loving Your Body & Peace Treaty With My Body in the War on Obesity, and excerpts from her books 10 Steps to Loving Your Body & Something to Think About. Hanna must marry by her 30th birthday or she'll lose her home & inheritance. Her brother arranges marriage to the has-been rock star who was her teenage idol. Original trade paperback. Sparks fly the night Lana meets to plan her sister's wedding―and not just because she announces she's stopped dieting and doesn't care if she's fat as maid of honor. She attracts the attention of the groom's best man. Original trade paperback. Nella agrees to marry an arrogant man who needs a mother for his young son in order to keep her childhood home. He's never been attracted to plus size women, so they won't be tempted to have a real relationship. They think. Original trade paperback. One party, one silver-tongued stranger, & Faith winds up betrayed, alone & pregnant. When Edward shows up to right his brother's wrongs--& falls in love--will her battered self esteem allow her to see the truth? Original trade paperback. Ten romantic tales pack suspense & sizzle into this collection of short stories all featuring big beautiful heroines--and more than one big handsome hero. Original trade paperback. Original cover. Evelyn Carmichael hoped to start a new life in Nashville with her 4-year-old daughter, far away from her abusive ex-husband and without the help of any man on Earth. Then she met Pastor Adam Singletary. Injustice, romance & suspense smolder in a small Southern town. A young woman framed for her father's murder is released from prison & seeks revenge on the people who stole 10 years of her life. Original trade paperback. A newspaper ad for "a worthy heir" leads a young woman to the owner of the company that fired her brother after a job injury. All Pam wants is help for her brother, but sparks fly when the handsome jilted heir returns home. Original trade paperback. A Pearlsong Conversation with Pat Ballard, Queen of Rubenesque Romances. 52-minute mp3 recording.